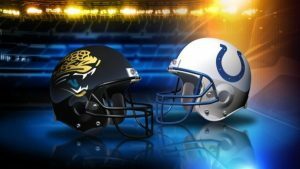 The Indianapolis Colts are traveling to England for the first time in their franchise history, where they will face off the Jacksonville Jaguars. This will be the fourth consecutive year the Jags will play at Wembley Stadium. have a winning record against the Jaguars, with 11-5 in home games and 10-4 on road games, but this is a first for them, they have never played this far away from home. But Jacksonville is off to a very shaky start this season and cornerback Prince Amukamara is still out with a hamstring injury and Aaron Colvin is still serving his four game suspension for substance abuse. defense is nothing to write home about, but their secondary did an ok job holding Aaron Rodgers to just 200 yards and Joe Flacco to 214. They did not play against Colt quarterback Andrew Luck last year so we will need to wait and see how they manage to contain him. The Jaguars, continue to rely on their running game despite being terrible at it, they currently hold the second lowest record in the league with only 165 rushing yards, the only other team with a worse record is the Minnesota Vikings but they have a much stronger passing game. However, the silver lining this week for the Jags is that Chris Ivory should be almost up to speed or at least stronger than he was last week, so for this week they should be able to count on both Ivory and T.J. Yeldon. This game, however, should focus more on the passing game, as both QB have a strong passing record; both Blake Bortles and Andrew Luck have each passed 800 yards in the first three games of the season and I suspect both will reach the 300 passing yards in this game. Which means, the secondary who outperforms the other teams will be the deciding factor in this game. The Colts defense is getting stronger, they have only allowed two defensive touchdowns in the last two games against the Denver Broncos and the San Diego Chargers. Let’s not forget the Chargers scored five touchdowns against the Jaguars, including four touchdown passes by quarterback Philip Rivers. This should give you an idea of what Jacksonville needs to focus on if they want a chance to win their first game of the season. Joe Haeg, the rookie from North Dakota State has quickly become one of the best offensive assets for the Colts. He is a double threat as he has shown tremendous flexibility as both an offensive guard and a right tackle, a position he played in college. Having just made his NFL debut last week against San Diego, he is someone we should all be keeping an eye on. The line for this game has seem some wild movement so far; because of the Jags experience in playing at Wembley the line opened up with them as a 2-point favorite, but this was clearly an ill-advised choice and the line quickly moved in favor of the Colts, if you like Indianapolis then you should hurry up and bet them at Ace Sportsbook before the line moves even further. I strongly suspect the line will close in a complete turnaround with the Colts as 2-point favorites. Which is where the NFL gambling line should have been in the first place. The Colts will win in England and the Jags will be 0-4 for the season.